One of the biggest features that OnePlus bring is the software upgrade for the devices they launch. 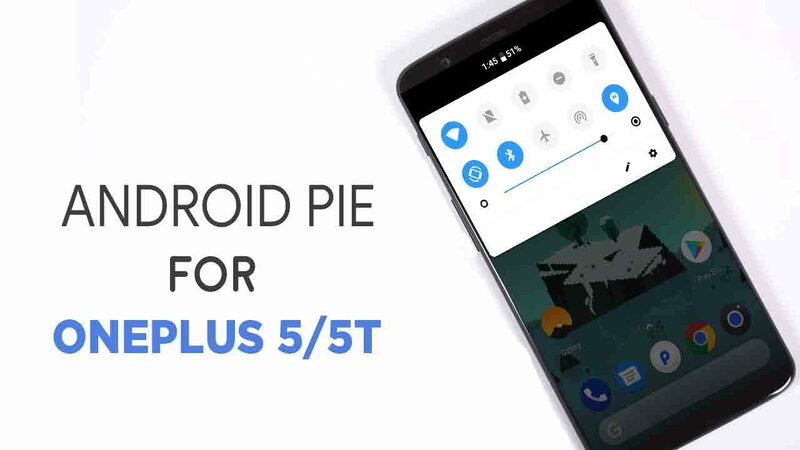 Continuing the tradition Android 9 Pie for OnePlus 5 and OnePlus 5T is expected to be launched next week. As per many reports earlier the rollout was delayed and now, we have the good news for the OnePlus 5T and OnePlus 5 users. Ever since the launch of its latest flagship phone the OnePlus 6T, the Chinese OEM has focused majorly on rolling out updates for its users of the newest smartphone. With the phone already out in the market, the manufacturer has pushed three software updates and is also on the task of bettering the experience of Android 9 Pie on the OnePlus 6T. However, in this pursuit, OnePlus has kept the OnePlus 5 and OnePlus 5T users on the sidelines, thus delaying the rollout of the Android 9 Pie based OxygenOS update for these users. On the other hand, the company released the HydrogenOS Open Beta based on Android 9 Pie last week in China for OnePlus 5 and OnePlus 5T users. Going by the past trends of the company, usually, the rollout of HydrogenOS and OxygenOS remains a week apart. However, there has been an unprecedented delay in the rollout for the OxygenOS this time. Given that the HydrogenOS and the OxygenOS differ a lot and the former comes with all the features of the operating system barring the Google Play Services and other Google related apps on the phone, a sight delay also seems inevitable. It’s worth noting that as part of the Open Beta programme, OnePlus usually delivers up to two updates in a month. However, in November, OnePlus hasn’t followed up with even a single update thus resulting in impatience for the users of OnePlus 5 and OnePlus 5T. With this new announcement from OnePlus, there has been a sigh of relief for the users that have been waiting for the past few weeks. Now we expect OnePlus to push the OxygenOS Open Beta based on Android 9 Pie next week, while a stable build for the same will be pushed to the users in December or early January. This update is going to be a significant one for OnePlus 5 and OnePlus 5T users as it will bring onboard the Android 9 Pie over their devices. Since OnePlus has invested a considerable amount of time into rolling out this update, we expect it to be mainly bug-free still having the Beta flag; users might see some little shortcomings. The new OxygenOS will bring a better UI along with some more features. Some of these will include the new navigation system as seen on the OnePlus 6 or 6T, camera improvements, notched up battery life, revamped caller ID and redesigned weather app among many others.